View from road of the Buena Vista House. There is a utility pole in front with many wires attached. 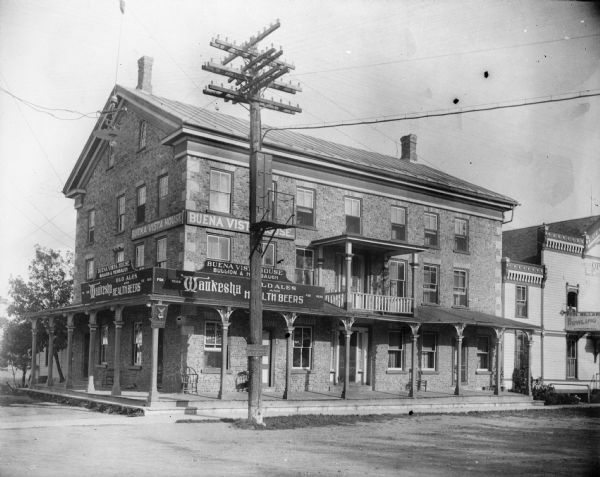 This Greek revival inn was erected in 1843 by Samuel R. Bradley of Milwaukee, who is said to have gathered personally all of the cobblestones used in its construction. He and his wife managed the inn from its opening in the late 1840s until about 1851.